Feng Shui Consultants of Boca Raton Florida: What do you do with that? People who need more money. People who want more cash in their wallets. People who tend to spend too much money. People who need to protect the money they have. People who want to leave a legacy for their children. People who fear money keeps slipping through their fingers. People who want to be accepted by wealthy society (old money). 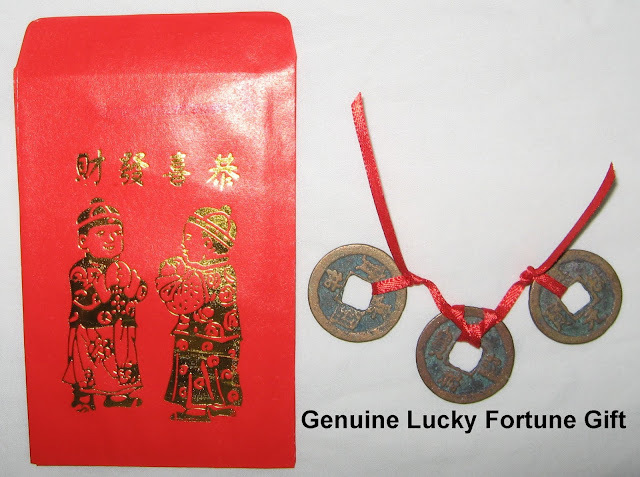 Carefully following the instructions that we give you when you purchase it, and depending upon the above situation, carry or place your Genuine Lucky Fortune Gift. You'll find the Genuine Lucky Fortune Gift on Zen Appeal here http://www.yourfengshuistore.com/Genuine-Lucky-Fortune-Gift_p_34.html .